Unless you're going to rewire your house with Category-6 cables stuffed into the walls, the best way to augment the Wi-Fi signal already in your home is to use an extender. At its heart, an extender works by receiving the router's Wi-Fi signal and rebroadcasting it into any "dead spots" of your home. This can spread the network's reach farther into a home or yard without pesky cables to hide. 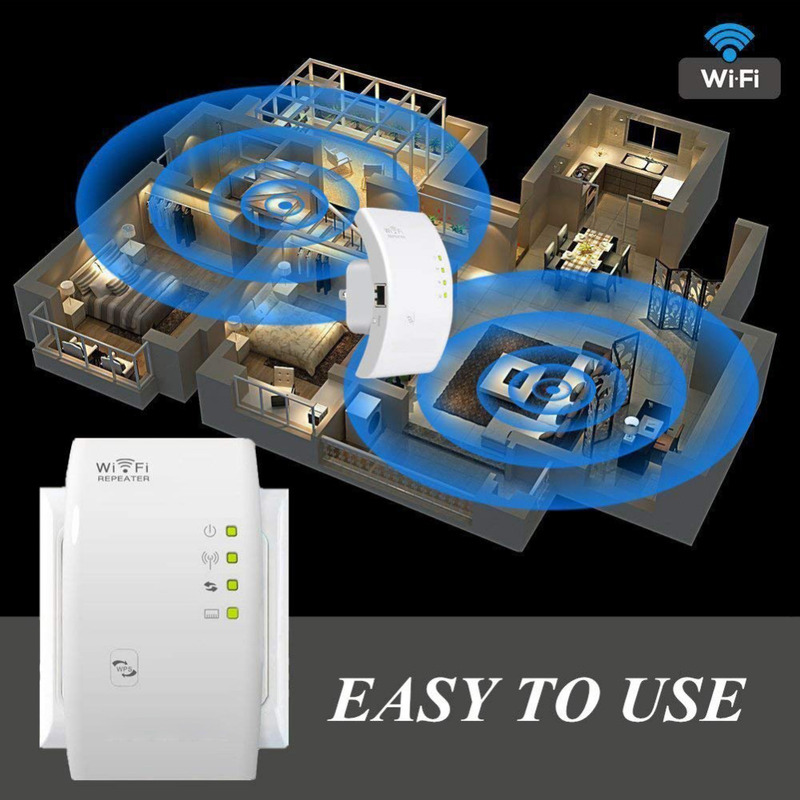 The Wifi Signal Booster Repeater offers two selectable operating modes that enable it to be used as an Access Point or repeater, for either extending the range of existing wireless networks or adding wireless capabilities to a non-wireless network. Using a wall plug design, this allows for convenient or hidden placement anywhere there is an available AC outlet. Used as a Wireless-N repeater, the Wifi Signal Booster Repeater can expand the effective range of any 802.11n WiFi network, delivering up to 300Mbps of data bandwidth, by boosting the WiFi signal to help eliminate dead spots and provide a stronger signal in areas with obstructions which would typically reduce the wireless range. The WiFi range extender is also backward compatible with 802.11b/802.11g networks, for versatile network expansion with wireless routers that use older standards. When used as a wireless access point (AP), the Wifi Signal Booster Repeater can add wireless-N capability to any non-wireless router, ensuring maximum convenience and network scalability. To provide maximum privacy and help prevent network intrusions, the Wireless-N Extender/Repeater offers a built-in firewall with IP, MAC Address and URL filtering, and supports common WiFi security protocols (WEP/WPA/WPA2).